Experience daily star shows, 3-D music concerts and 3-D IMax movies. Located in The Gateway in west downtown Salt Lake City, open seven days a week from 10:30 a.m.
Visit Salt Lake City’s only downtown mall not under construction with stores such as Abercrombie & Fitch, Bebe, Bastile and more. Restaurants such as Happy Sumo, California Pizza Kitchen and Fleming’s Prime Steak House provide sustenance before you watch a movie at the MegaPlex Theater. Originally built in 1908, Trolley Square’s historic architecture is undergoing a $60 million facelift that includes a 53,000-square-foot building for Whole Foods Market. Trolley Square has about 45 retailers but could increase to 65 when the renovations are complete. A Utah Historic Site, the mall is listed on the National Register of Historic Places. Outfit your life with eclectic and bohemian finds from antique stores and art galleries, as well as indie-operated clothing, book and music shops along these bustling streets. Celebrating its 100th birthday this year, this wonderful Catholic cathedral has been restored to its original splendor, complete with magnificent stained-glass windows and elaborate artwork. Enjoy free tours and concerts. Hidden in the middle of the city, Gilgal is known for its eccentric handcrafted stone art. There is a 25-ton sphinx with the visage of LDS Church founder Joseph Smith, depictions of biblical stories and a tribute to Masons. At 240,000 square feet, this state-ofthe-art library holds more than 500,000 books and materials. 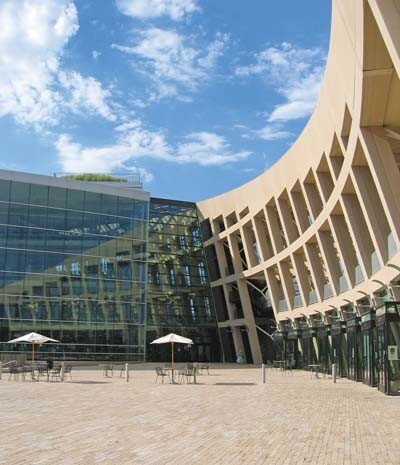 Facilities include multilevel reading areas, rooftop garden, amphitheater, public plaza and a children’s library. Built in 1927, the landmark includes Egyptian, Gothic, Moorish, and Colonial rooms. Free tours available by appointment. Thursday evening rehearsal and Sunday 9:30 a.m. broadcast of Mormon Tabernacle Choir are open to the public. Newly retrofitted and remodeled, The Capitol was designed by Utah architect Richard K.A. Kletting in 1912 and completed in 1916. 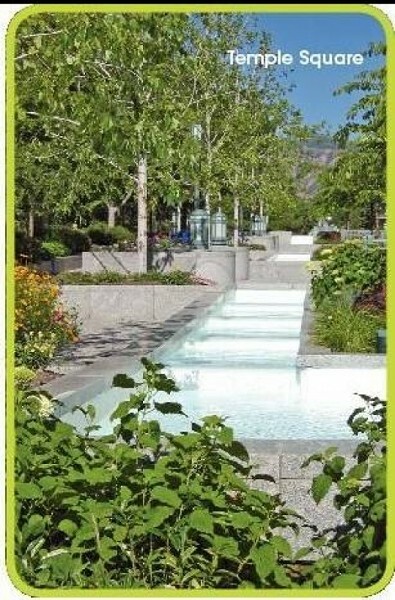 Tours are available by phoning 801-538-1800. “Hands-on” discovery museum with interactive exhibits including a 30-foottall beehive, a media center and a “Saving Lives From the Sky” life-size helicopter. Operated by the Daughters of Utah Pioneers, this museum features memorabilia from when the earliest settlers entered the Great Salt Lake Valley until the joining of the railroads at Promontory Point, Utah, on May 10, 1869. Historical exhibits about The Church of Jesus Christ of Latter-day Saints and artwork by LDS artists. While not a museum, this art center has been around for more than 75 years, is housed in a beautiful downtown facility next to Abravanel Hall and is a must-see for those who crave contemporary visualart, especially large-scale avant-garde exhibits. As depressing as it may be to pass by the gaping hole that was once housed local hangouts such as Sugarhouse Coffee and Orion’s Music, the Sugarhouse district is still jam-packed with local businesses to support including Solissa, The Soup Kitchen, 11th Street Tattoo Gallery, The Record Collector and a slew of others. The Village preserves the old Gardner flour mill, which is listed on the National Historic Register. Surrounding the mill is a cluster of vintage structures restored into charming retail specialty shops, a restaurant, bakery, meeting facility and day spa. Established in 1931 and spread over 42 acres at the mouth of Emigration Canyon, this zoo is home to 1,100 animals, representing more than 250 species. 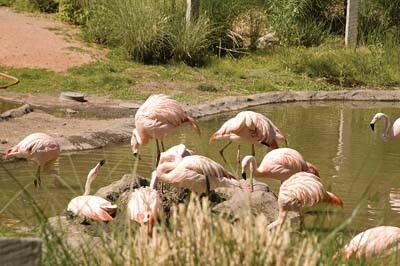 The Tracy Aviary houses some 400 birds of 135 species and cultivates about 100 varieties of plants. This nonprofit botanical garden and arboretum has more than 150 acres of flowers, trees and shrubs with walking and hiking paths available year-round. Site of the Olympic Ceremonies for the XIX Olympic Winter Games includes the cauldron that held the Olympic flame. Visitors center includes an interactive theater where moments of the Games are captured. Site of the Mormon pioneers’ entry into the Salt Lake Valley, the park features Old Deseret Village, This Is the Place monument, the Brigham Young Forest Farmhouse and picnic areas. Historic demonstrations and exhibits take you back in time. Discover the old-time farm lifestyle, once common for most families in Utah, but now largely past and gone. Holds ancient and modern collections (about 18,000 objects) from the world’s cultures: African, Egyptian, Greek, Asian and European as well as works by Utah artists. The top-notch museum also attracts exhibitions from world-famous modern and contemporary artists. Numerous exhibits including dinosaurbone collections, local Indian artifacts and demonstrations of Utah geological history. Includes Museum of Ancient Life, a championship-caliber golf course, Thanksgiving Point Village, and the Farm Country. Hikers, horseback riders and crosscountry skiers enjoy a variety of trails on the popular island in the Great Salt Lake. Picnicking, camping, and boating facilities are also available. The island is home to a roaming herd of 600 bison, pronghorn antelope and bighorn sheep. A visitor center offers information on the island’s unique biology, geology and history. Created in 1990, artist Robert Smithson’s monumental art installation is hidden jewel. Located approximately 16 miles from the Golden Spike National Historic Site, the 1,500-foot-long basalt coil is a must-see if you can handle the bumpy terrain. See life-size creatures and hear them roar in the park’s six acres. Watch technicians prepare fossils or visit the hands-on exhibits. Utah’s historic steam passenger railroad is a tourist attraction based in Heber City. The track follows the Provo River to Vivian Park near Sundance Resort in Provo Canyon. One of the largest human-made excavations ever dug. Visitors’ Center displays photographs, exhibits, and more. Located in the Oquirrh Mountains approximately 25 miles southwest of Salt Lake City. The state’s largest amusement park features one of the nation’s oldest wooden roller coasters as well as kiddie rides, games, a water park and more. Open seasonally. Built in 1924, Ogden Union Station was the center of transcontinental rail traffic for more than 50 years. Today, it is home to train and art museums, a visitors’ center, model train shop, and a restaurant. The 389-acre Utah Olympic Park was built for the 2002 Winter Games for Nordic jumping and the sliding sports of bobsled, luge and skeleton. Now used for national and international competitions, it also serves as a year-round training ground for development and highperformance athletes. Visitors can tour the Alf Engen Ski Museum and take a bobsled ride of their own.